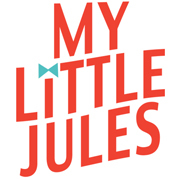 Jules' Got Style - Boutique Girls Clothing Blog: Joyfolie Fall CLEARANCE! All shoes and boots must go! Joyfolie Fall CLEARANCE! All shoes and boots must go! We are making room for fall inventory! So, now through Monday, 9/7, save 40% on all Joyfolie boots and shoes. We still have a good selection of styles and sizes of Joyfolie 2014 fall boots. They will look so cute with new Persnickety, Mustard Pie, Jak & Peppar & more. Excludes all preorder styles, includes EVERYTHING ELSE JOYFOLIE. Sale ends 9/7 at 11:59 pm PST.